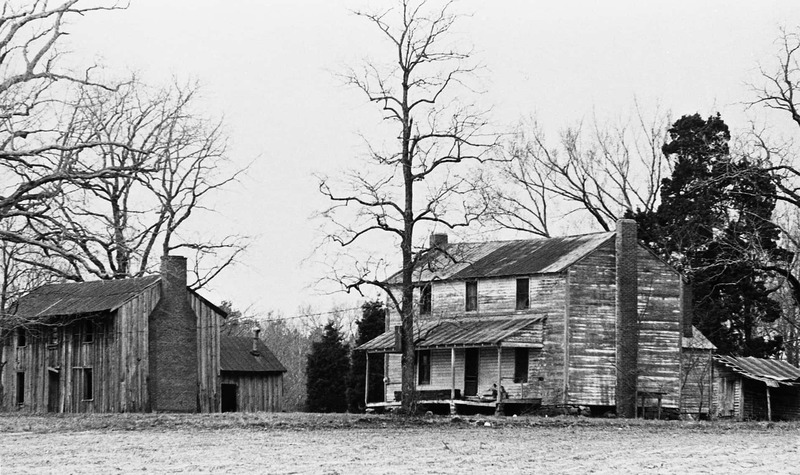 This 1977 photo shows the slave quarters at Horton Grove, part of the Cameron Plantation, built circa 1851. Descendents of enslaved people lived in these homes until the 1940s. When the Civil War began, nearly 1 out of every 3 people  in Orange and Durham Counties was enslaved. White farmers reaped profits from crops grown on stolen  land with the stolen labor of enslaved people. The politically powerful Camerons lobbied the state for a local railroad stop to expand the market reach for their plantation’s many products. This stop became the Durham Station and the center of the future city. The Cameron plantation lands are outlined on this 1887 map. 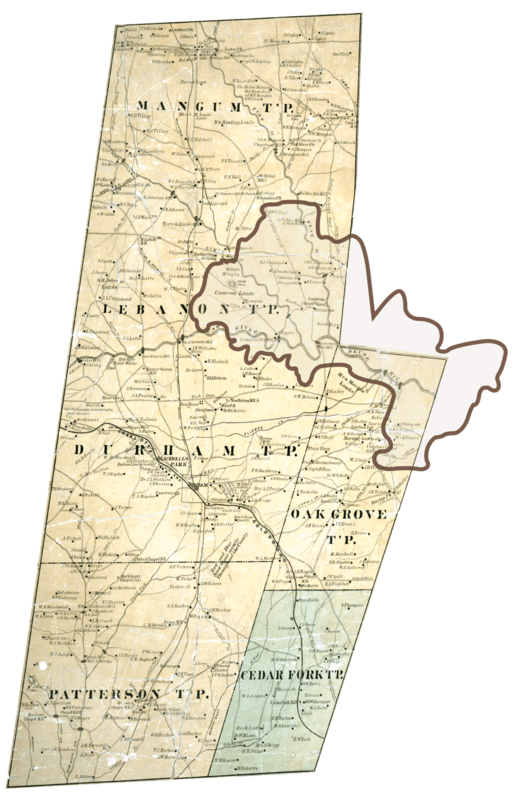 Many of the other landowning families shown on this map also owned enslaved people.